Firecracker Shrimp and Salmon | All things Fonz! So I was browsing around last night and came across this recipe for firecracker sauce. The sauce is on the spicy side, and has a very sweet finish to it. 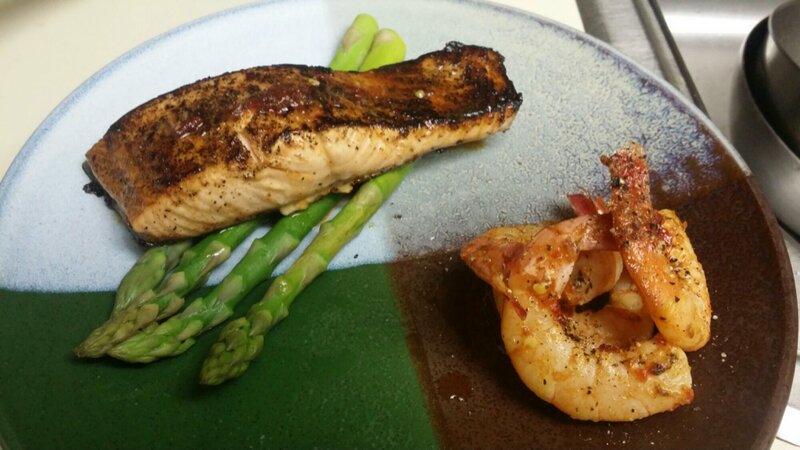 I love salmon, and I love shrimp, so I decided to do both. It came out so good! I also happened to be making bacon at the time, so I seared both in the left over fat. I highly recommend trying this out. I am posting the link to the recipe below.